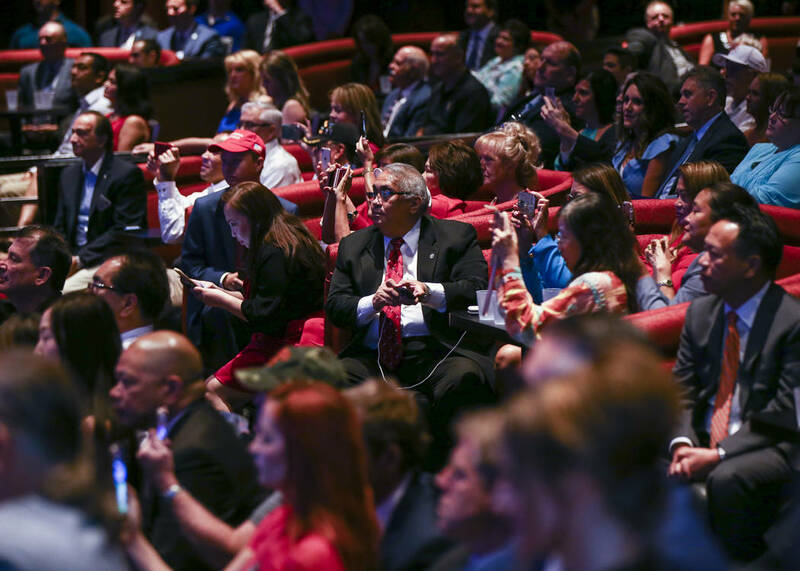 The man behind the Las Vegas Strip’s first new resort since 2010 received an endorsement Saturday from a powerful figure — the president of the United States. 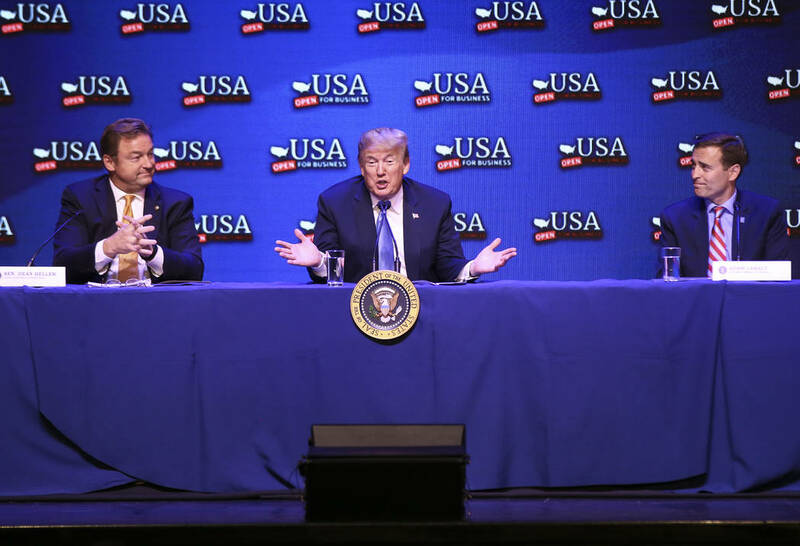 The man behind the Las Vegas Strip’s first new resort since 2010 received an endorsement Saturday from a powerful figure: the president of the United States. 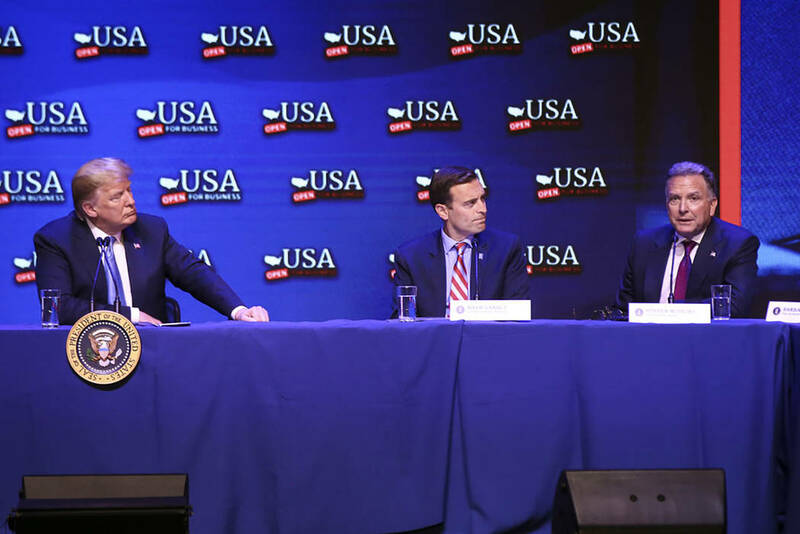 New York developer Steve Witkoff joined President Donald Trump and others at the South Point for a victory lap of sorts over the tax cuts the president signed into law in December. The group of about 10 spoke to a packed crowd in the 400-seat Showroom. 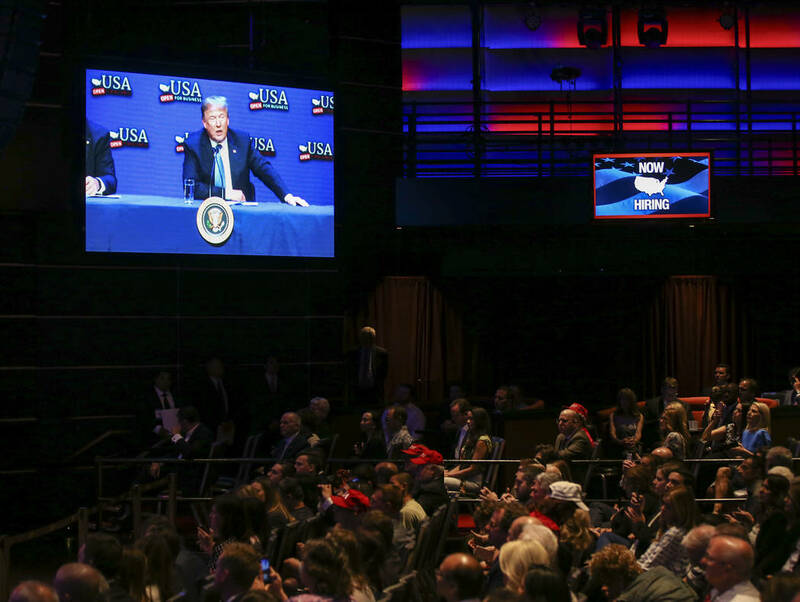 Trump also gave the keynote address at the Nevada State Republican Party Convention. 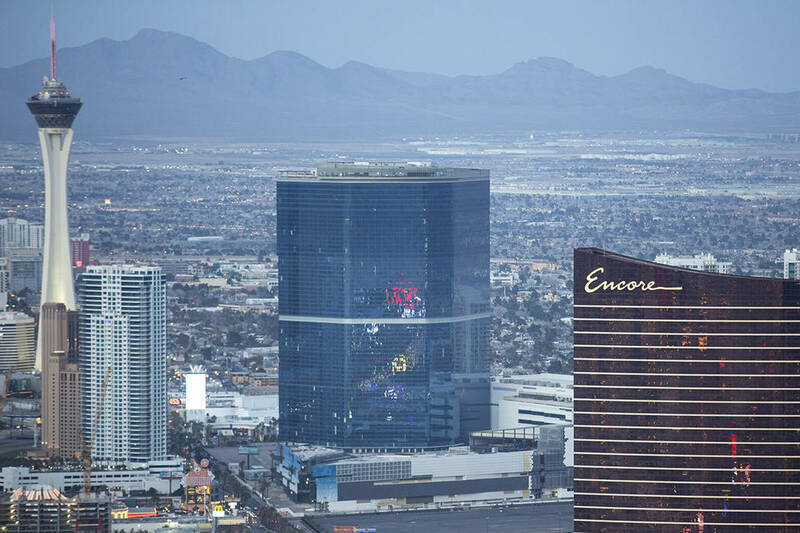 Witkoff plans to open The Drew Las Vegas in 2020 next to the Peppermill Lounge and across the street from another project waylaid by the recession, Resorts World. Earlier this year, Marriott International announced $50 million for an ownership stake in the former Fontainebleau property. Witkoff told the audience The Drew is 75 percent built and will have 4,000 rooms. He expects the project to cost $3 billion and create 7,000 permanent jobs and 3,500 construction jobs. Trump called Witkoff a pal and a “special man.” Witkoff said in an interview after the event that he credits Trump, a longtime real estate developer, with helping him leave real estate law to become a developer himself. “It’s been a blessing,” Witkoff told the crowd. The men’s friendship included Trump’s attendance at the funeral of Witkoff’s son Andrew, the namesake for The Drew, who died from a drug overdose in 2011. He was 22. Witkoff told the crowd that some of the proceeds from The Drew will go to charity to help people with addictions. In the interview, Witkoff said the local population growth helped sell him on getting into the Las Vegas market. He said he had dinner with Steve Wynn two months ago to talk about the project and how its success could help Wynn Las Vegas and other nearby properties. He said he’ll pass a significant milestone in July 2019 when he closes on a construction loan. 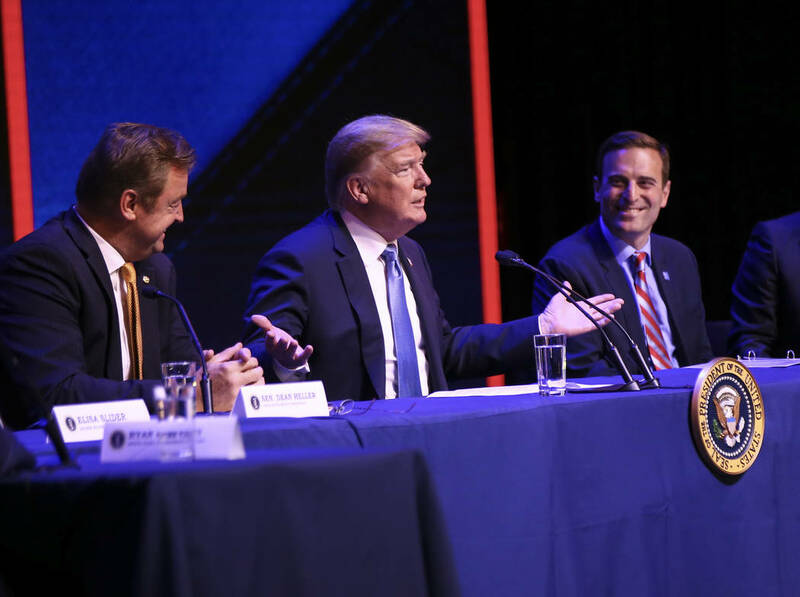 The South Point event put the president face to face with Las Vegans, who thanked him for the tax deal and explained how the cuts have helped their businesses and personal lives. Elisa Slider, of local hay deliverer Silver State Hay, told Trump on stage that she’s seen a 30 percent increase in sales. “Our customers are confident in the economy,” she said. 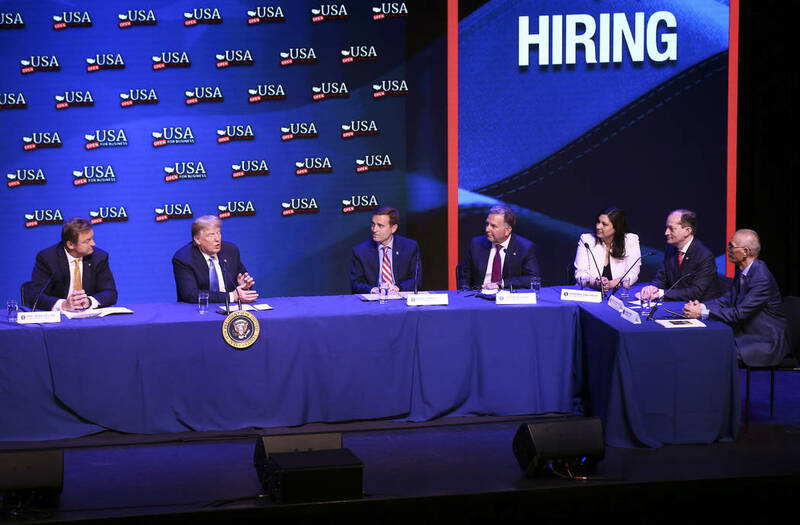 South Point general manager Ryan Growney told Trump the hotel-casino gave employees $1 million in extra holiday bonuses because of the tax cuts. Most employees received just under $500 each, while some of the higher-compensated workers got between $700 and $2,300. “We were excited about the announcement,” Growney said. 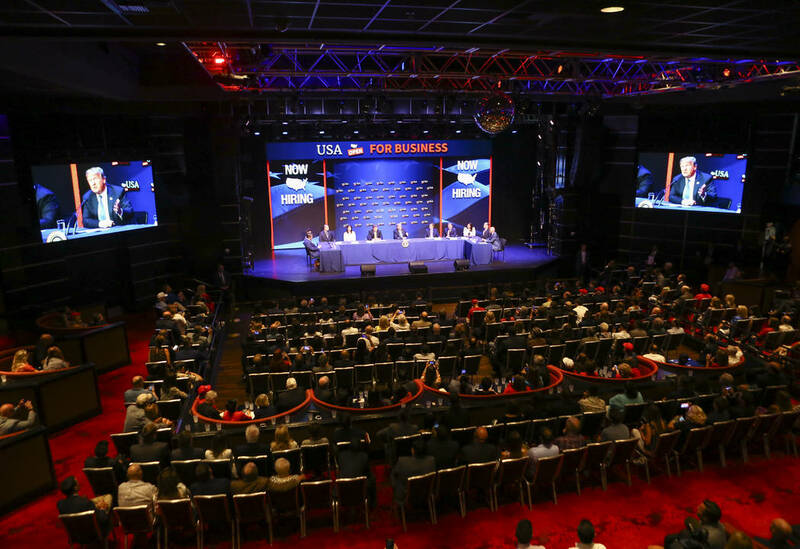 Labor Secretary Alex Acosta, also on stage, praised a recent announcement from the Las Vegas Metro Chamber of Commerce for pursuing a shared health plan for its members, a possibility thanks to a rule change by the Trump administration earlier this week. Cavin Fung, founder of local nonprofit Asian Culture Alliance, told the president the tax cut had helped his members, and he presented the president with a book by Las Vegas author Mae Chang Koh.